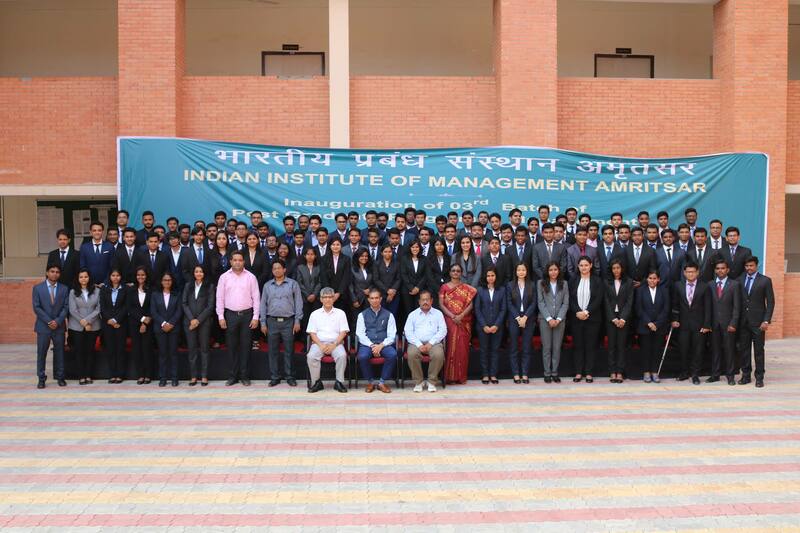 On 27th December 2015, the students of IIM Amritsar had an interactive session with V K Sharma, Former Executive Director, Reserve Bank of India. Mr. Sharma has been a career central banker and a member of the Markets Committee of Bank for International Settlements, Basel, Switzerland; he retired as Executive Director, Reserve Bank of India (RBI), on 31st December, 2012. As Executive Director, Mr. Sharma was been responsible for 11 critical and sensitive Departments covering such diverse areas as Financial Markets, Foreign Exchange Reserves Management, Internal Debt Management, Human Resources, Administration, Currency Management, Rural Planning and Credit, Financial Inclusion, Customer Service, Premises and Regulation and Supervision of Urban Co-operative Banks. A B.Sc. in Physics, Pure and Applied Mathematics and an M.Sc. in Physics, he holds an Advanced Studies Certificate in International Economic Policy Research from Kiel Institute of World Economics, Kiel, Germany and is recipient of the prestigious Lord Aldington Banking Research Fellowship and the first RBI Golden Jubilee scholarship for pursuing research and advanced studies abroad. Several of his research papers, articles and speeches have been published in leading business newspapers, prestigious journals and Bank for International Settlement (BIS) Reviews. He has served as Chairman/Member/Director of several important Committees/ Working Groups/Governing Boards/Councils/Bank Boards and represented RBI in various prestigious national and international fora. Here’s his linkedin account link for further references. Later on, the discussion moved towards the financial sector. According to him, the world faced a financial meltdown in 2007 because of its overdependence on USA. The financial meltdown happened due to the mismanagement of financial instruments such as Asset Backed Securities, which the world heavily invested on prior 2007. He also thinks that India will need 17 years to become a $10 trillion economy. Moreover he insisted not to compare India with China because of the inherent difference between the economies of these countries, as China is highly dependent on export, thus more susceptible to global shocks. He believes that the Indian economy is sound on its own.